A friend requested a story to fit her book of illustrations. The illustrations will follow in due course. It is a story with seven chapters (seven illustrations, that is) and the story starts here. In the meantime, I have sketched my impression of Frank (see below). Frank, like all good frogs, was very good at responding quickly to things. He saw things. He heard things. He felt things. He smelt things. He tasted things. All this before anyone else in the jungle saw, heard, felt, smelt or tasted anything. Frank was so quick that he almost knew things before they were things! Frank was amazing! Before you knew it, he’d caught a fly! Before you even knew a fly was flying nearby, Frank knew. There’s another one! Frank loved catching flies. None of the other animals in the jungle really liked flies. Which was just as well because Frank LOVED them! Frank was very good at catching flies and very fast! So even if any of his friends, say Gordon or Bernard or Barry, decided that they might like to try eating a fly – just once – well, they would never get a chance to. Frank would have caught it first. It’s not that Frank was a selfish frog. He was willing to share the flies. He even tried his hand at baking and one day baked a batch of cookies. The animals in the jungle were very excited, thinking that the cookies looked like very yummy chocolate-chip cookies. But, as they got closer to the pile of cookies arranged artfully on a nearby lily pad and garnished beautifully with a lotus flower, they smelt a funny smell. Actually, the smell wasn’t funny at all. It was awful! It turned out that the cookies didn’t have chocolate chips in them…those little black chunks in the cookies weren’t even raisins…well, you can probably guess what they were. Still, it meant that Frank got to eat all the cookies himself. Which was just as well because Frank needed lots of energy being a rapid-fire response frog. He certainly needed lots of energy on that particular day in the jungle. 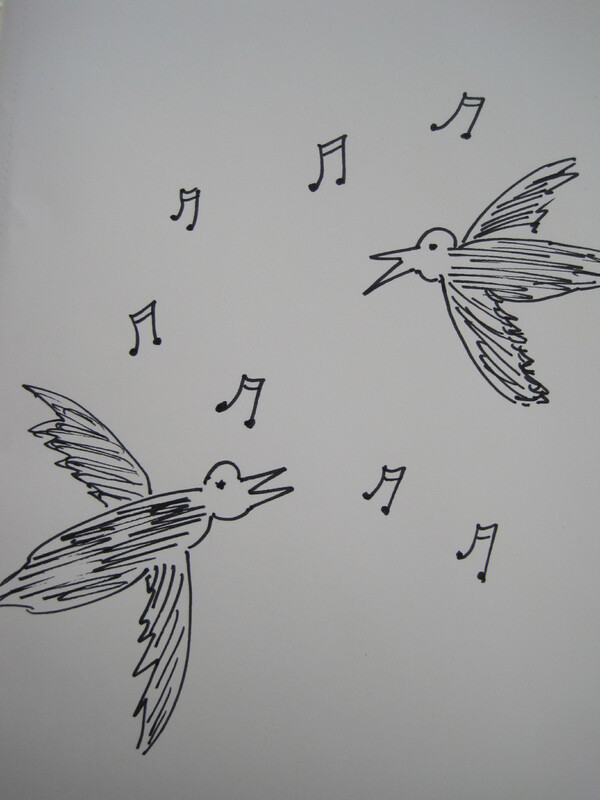 Then he heard the beating of wings as Lucy and Lynette the Lamenting Lyre Birds took flight. He knew that when they started to sing, something wasn’t right. He wasn’t really listening to all the words they sung (they were going on a bit!) but he heard the words he needed to hear. MONKEY! DOWN! Maurice the Fun-Loving Monkey must have fallen off his swing, onto the ground! Frank leaped into the action! Because that’s what Frog’s do! He needed to leap into action! Someone needed to! Within seconds he got a sense of the crisis at hand. Maurice the Fun-Loving Monkey was lying silently on the ground. Bernard and Barry the Data-Collecting Bears had assessed the past and present risks and were starting on the future contingencies. 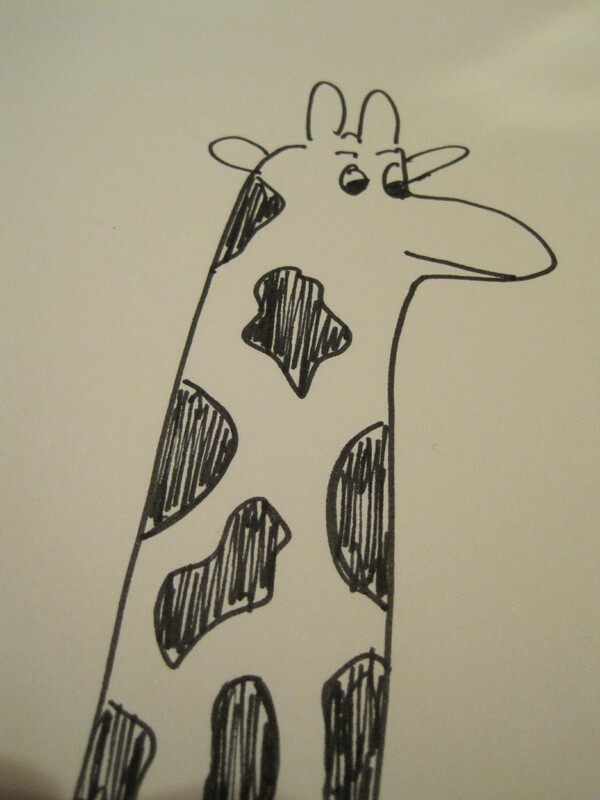 Gordon the Complicated Giraffe was simply crying silently as he stood by the tree looking down at Maurice. Somebody needed to DO SOMETHING! And that somebody was Frank! Frank politely waited for Lynette and Lucy to stop singing (they were still going on a bit!). Then he took charge and made things happen! Gordon was happy with that. He had been given a purpose, a vision, a plan. He had also been reassured that things could all be well again. He had hope! So Gordon took a deep breath (which was very deep because he neck was very long), wiped the tears off his head and neck, bent down, lifted Maurice up on his head, and walked with vision and purpose to see Doris. Frank’s work was done! Doris would be prepared for Maurice’s arrival and she’d look after his long-term recovery. He was feeling quite hungry after all that work. Tune in for the next chapter when Doris will do what she does best, caring with great patience and skill. Please feel free to leave questions, suggested changes, critique about the feasibility of the story, or other editorial comments below. This is a work in progress. A friend requested a story to fit her book of illustrations. The illustrations will follow in due course. It is a story with seven chapters (seven illustrations, that is) and the story starts here. In the meantime, I have sketched my impression of Lucy and Lynette (see below). Lucy and Lynette, like all good lyre birds, had a gift for picking up on the sounds and sorrows around them and turning them into song. Maurice the Fun-Loving Monkey was not having fun at this moment. His swinging adventures had some to a crashing end. Bernard and Barry, his data-collecting friends were holding Maurice’s hands – one hand each – in their warm, comforting, reliable paws. Their risk assessment of Maurice’s swing had been correct, but when faced with another’s sorrow and suffering, things did not always add up in neat comforting formulas. Gordon the Complicated Giraffe was trying so hard to make sense of it all. He knew that things fell from trees – leaves, for instance – but his friend had fallen and this was sad indeed. Gordon was feeling overwhelmed with the sadness of it all. The sorrow of things falling in a fallen world. Maurice, Bernard, Barry and Gordon needed a song. They needed their painful groans, failing data and overwhelming sorrows to be given words and turned into song. 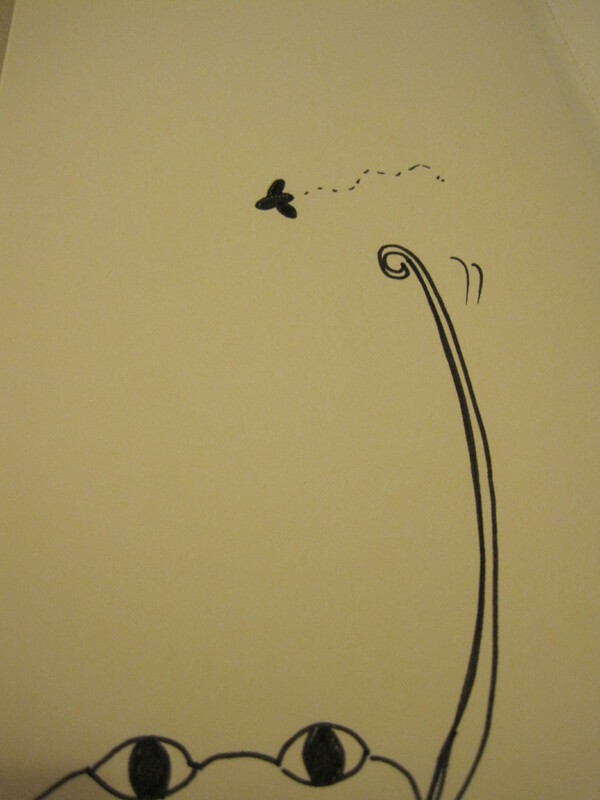 Their lamenting hearts took flight upon the soaring wings of Lucy and Lynette. Sometimes we’re up and sometimes we’re down. The fun-loving monkey lies there on the ground. Bring him back! Lift him up! Fetch his paper party crown! Our fun-loving friend lies moaning on the ground. Those brown paper packages, tied neatly with string. Unravel before us, string dangling from our hands. He’s our song. He’s our joy. He’s our paper party crown. Our light has gone out and lies extinguished on the ground. The sky has turned dark, the pond has turned brown. All our laughter and joy lies silent on the ground. The giraffe made connections. He dreamed lots of dreams. But the dreams sometimes shattered or weren’t what they seemed. But their adding sometimes failed or the data was all wrong. How long, our dear friend, must you lie without sound? How long before your laughter and joy will resound? So our fun-loving friend can arise from the ground. Remember your Maker while you lie silent there. You’re held in his hands and safe under his care. The plans of that Maker had all seemed to fail. A crown made of thorns. A body full of nails. Lift Him up! See Him there! Our friend in our place. No smile, only pain, on our Maker’s lovely face. He came back! He’s alive! Our life has been found! He no longer lies silent and dead in the ground. He’s our life. He’s our joy. He’s our crown. He’s our song. He’s our hope for the future when the present seems wrong. To sing songs of praise that will ever be heard. Once Lucy and Lynette and finished their song, everyone’s hearts felt lifted a little. Maurice, however, was in need of some medical attention. Some crisis management was required. Thankfully, Frank the Rapid-Fire-Response Frog was on a lily pad in the nearby pond, poised, ready to leap into action! Tune in for the next chapter when Frank’s crisis response skills will be put to the test. Please feel free to leave questions, suggested changes, critique about the feasibility of the story, or other editorial comments below. This is a work in progress. A friend requested a story to fit her book of illustrations. The illustrations will follow in due course. It is a story with seven chapters (seven illustrations, that is) and the story starts here. 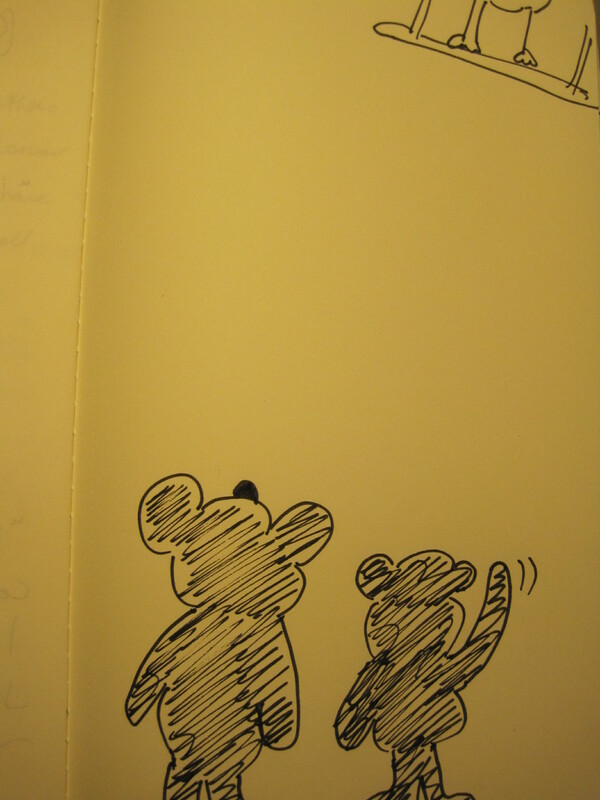 In the meantime, I have sketched my impression of Bernard and Barry (see below). Bernard and Barry loved details and they loved collecting data. They loved to count. One, two, three, four, five. They loved to add and subtract. They especially loved multiplying because, well, it made more numbers and numbers were such a source of delight. They didn’t just love numbers. They loved collecting data. Bernard and Barry could tell you how many trees there were in the Jungle and how many different types there were. They could tell you this information because they had the amazing ability to collect information and then actually remember it! Bernard and Barry were often misunderstood. First, people would look at them and just see fuzzy, fluffy bears. They’d assume that Bernard and Barry had fuzzy, fluffy heads when, in actual fact (and Bernard and Barry loved actual facts! ), they had the smartest, sharpest brains in the whole of the jungle. Second, once people came to appreciate the smartness and sharpness of Bernard and Barry’s brains, they would assume that Bernard and Barry were not at all warm and fuzzy to be around, when in actual fact (and Bernard and Barry could would soon display concrete proof of this fact) they were two of the kindest, warmest animals in the whole of the jungle. Bernard and Barry were the best kind of friends to have. Sometimes they seemed a bit fussy but it was because they wanted everything to be perfect. They wanted everyone to be safe. They wanted everything to be just right. Bernard and Barry were looking up into the tree and everything was most certainly not perfect or right. Maurice the fun-loving Monkey was, in actual fact, very unsafe! Maurice the Monkey was too busy swinging and laughing to notice Bernard and Barry on the ground below him. He was swinging too fast to see their worried faces. He was laughing too loudly to hear their words of warning. And Maurice did…come down…in one great big crash! As Maurice lay on the ground, tangled in the rope from the swing, moaning a little, Bernard and Barry very quickly calculated that now was not the time to tell Maurice why his swing hadn’t worked. If Maurice had, some time ago, asked his dear, detail-loving, data-collecting friends, they would have been able to retrieve from their very smart and sharp brains the information they had once read on ‘How to Make a Tree Swing That Will Last a Lifetime’. It did rot and it did break. But to Bernard and Barry it was not at all unexpected. Bernard and Barry drew on their stores of knowledge gathered in the ‘Counselling 101’ course they had once signed up for and they refrained from saying anything to Maurice at that particular moment. Instead they knelt down beside him on the ground and they were silent. Bernard held Maurice’s left hand and Barry held his right hand. Then they waited for Lucy and Lynette the Lamenting Lyre Birds to start their comforting song of sorrow and regret. Tune in for the next chapter when Lucy and Lynette will sing the words we all long to hear when things haven’t quite turned out the way we planned. Please feel free to leave questions, suggested changes, critique about the feasibility of the story, or other editorial comments below. This is a work in progress. A friend requested a story to fit her book of illustrations. The illustrations will follow in due course. It is a story with seven chapters (seven illustrations, that is). 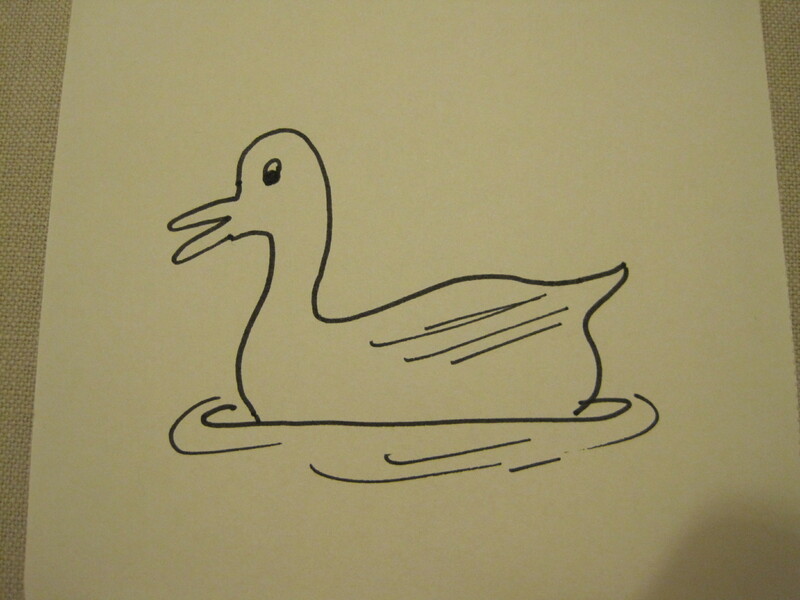 In the meantime, I have sketched my impression of Maurice (see below). This chapter was written while babysitting for some friends. I got to sit, curled up on the lounge, by the fire, while the kids slept. No children’s book was plagiarised in the making of this chapter…not that I know of, anyway. Maurice was a fun-loving monkey. While Gordon the Complicated Giraffe was thinking and thinking, Maurice was playing and playing. Maurice liked playing a lot. He loved talking too, but he mostly liked talking about playing. He didn’t much like playing on his own, so he would talk about playing to others until they agreed to join in playing with him. Maurice was fun to play with. Most of the time. Sometimes Maurice liked to explore new games and see if they were as fun as the old games. They usually were. Sometimes they were even better! Maurice loved it when that happened! Sometimes he invented new games all by himself. Though he always invented games where others could join him. Maurice didn’t like playing by himself. One day, as Gordon was standing by a particularly large tree, thinking about trees and how amazing it was that the leaves fell off and grew back just at the right time, his thinking was suddenly interrupted by a loud squeal and then lots of laughing. It was Maurice the Monkey! He had just had the first swing on his brand new swing. He made the swing all by himself. He was pretty excited about it. So excited that he felt he just had to tell someone about it. That someone just happened to be Gordon, because Gordon just happened to be standing beside that particular tree. Gordon had been too busy thinking about trees to notice Maurice’s noisy building of the swing in that tree and now it was too late to get away. 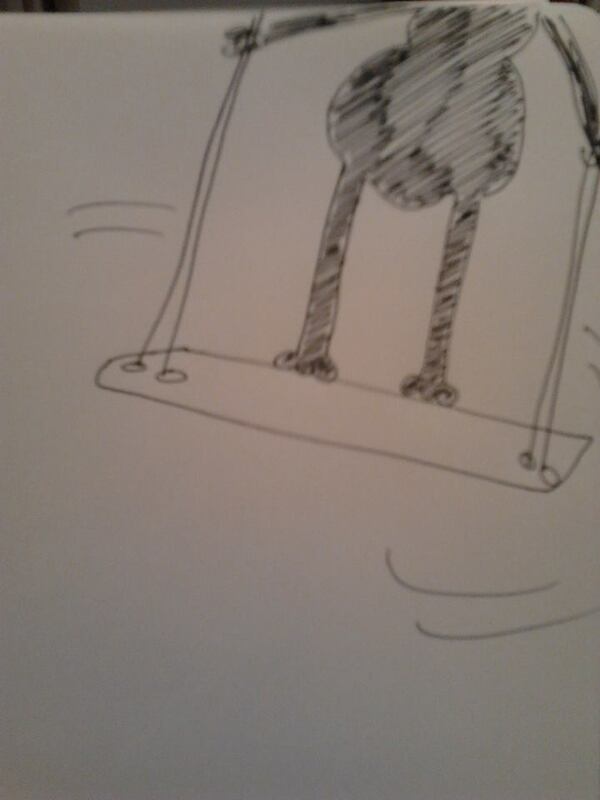 Besides, Gordon was too tall to have a go on the swing. He always had been too tall for swings. His legs were too long and his feet would scuff along the ground. He never did think swings were that fun. Maurice thought his swing was very fun! He was telling everyone about it! Anyone who’d listen. There were two bears on the ground below the swing, looking up into the tree. They were listening. They were also thinking very sound, very sensible, very scientific thoughts. While Maurice was swinging and talking and squealing and laughing, the two bears were doing a risk assessment of Maurice’s swing. Gordon had thought that the swing didn’t seem very safe. The two bears, Bernard and Barry, knew for a fact that this swing was not at all safe. Their risk assessment would soon prove to be correct. Tune in for the next chapter when Bernard and Barry will give their scientific reasoning for why Maurice’s swing was not safe. Please feel free to leave questions, suggested changes, critique about the feasibility of the story, or other editorial comments below. This is a work in progress. A friend requested a story to fit her book of illustrations. The illustrations will follow in due course. It is a story with seven chapters (seven illustrations, that is). 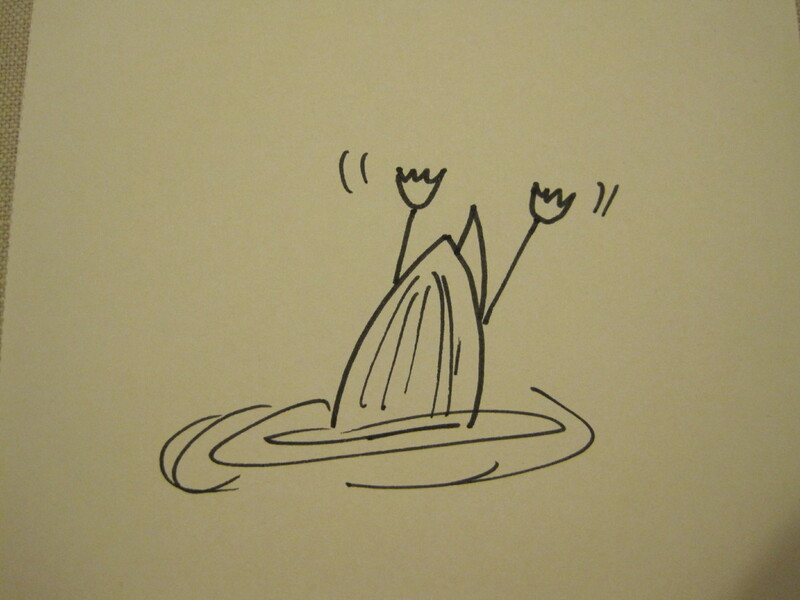 In the meantime, I have sketched my impression of Gordon (see below). This chapter was written while dining in the elegant, warmly-welcoming Lock’s Brasserie. I dined there through the generosity of my parents who wished me a restful and happy holiday. Gordon was a complicated giraffe. He used to like to think he was, but recently his friends had been telling him he was ‘complicated’, saying it in a manner which suggested this wasn’t such a good thing. Being complicated meant that Gordon did a lot of thinking. He thought a lot. He thought and thought and then – he thought some more. Sometimes he thought so much that his head began to hurt, just a little bit. He didn’t just think about one thing and then move onto thinking about another thing. As he thought about one thing, another thing would pop into this head and he’d think about those two things together. He’d notice patterns and connections between those two things. Then sometimes he’d think of a third thing! The patterns and connections would make him feel happy, amazed and confused all at the same time. Gordon had a friend who was very clever. He knew a lot about trees. He actually knew a lot about everything but especially liked to talk about trees. Gordon’s friend could tell, just by looking at a tree, what type of tree it was. He even knew the names of the trees. He could look at an oak tree and say ‘Gordon, my friend, that there is an quercus robur.’ Gordon simply thought it was ‘lovely’. Gordon didn’t really notice trees that much. He knew that a tree was a tree and not, say, a lamppost. He knew that trees had leaves that were good to eat. There was one tree that had leaves that tasted a little bitter and he knew to avoid that tree. Otherwise he didn’t know much about trees at all. He thought about trees though. He thought about them a lot. One of his favourite things to do was to start thinking about trees, then think about their leaves and how, at certain times of the year, in some parts of the world, the leaves would change colour and then fall off the trees. His friend, who was very clever, could tell you all about why the leaves changed colour and what made them fall off and what caused the new leaves to grow in Spring. He had already told Gordon all about it, but Gordon couldn’t remember what his friend had said. It was all very detailed and scientific. Gordon didn’t know very much about trees but he did like to think about them. He loved thinking about those special trees in other parts of the world – how, during the summer, they would have lots of green leaves when the weather was warm and the sun was shining. Gordon thought it was wonderful that just when you might want some shade to rest from the sun’s heat, there were leaves to give you shade! Then, when the air got colder and the sun didn’t shine as much and when you wanted to feel as much of the sun’s warmth as you possibly could – well, then, the leaves would have fallen from the trees! There was no shade any more – but you didn’t want shade anymore! Sometimes, Gordon would even start thinking about who it was that might have thought of all the trees in the first place. Whoever made the trees – and the special leaves that fell off and grew back with perfect timing – must have been very clever! Even more clever than Gordon’s friend. He must have been very kind too. Gordon did get tired sometimes from thinking too much. Though he never got tired of thinking about the trees and the leaves and the sun and the shade and the clever, kind maker of the trees. He never got tired of that! He did, however, just occasionally, get a little tired of hearing the endless chatter of his neighbour, Maurice the Monkey. Tune in for the next chapter when Maurice the Monkey and his slightly troublesome relationship with Gordon the Giraffe will be further explored. Please feel free to leave questions, suggested changes, critique about the feasibility of the story, or other editorial comments below. This is a work in progress.